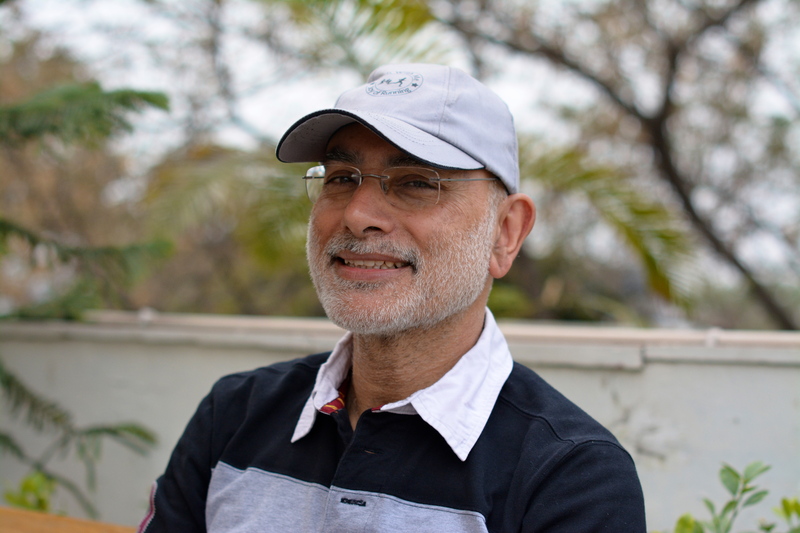 I am happy to post a guest blog by Vinod Kaul, a fellow first time author who has just published his book, Confessions of an MBA. In only the sixth decade of his life, Vinod has turned into an author. This is his story in his own words below. Note that this is not a sponsored or paid post. Vinod has in fact written this article based on my request. Hope you will find his story useful. “In a sense I have been a closet writer all my life. In spite of being praised for my amateur pieces from school onwards, I never got down to putting together a manuscript long enough to submit for a book. Even when I was between jobs in Canada, I found the tumult of looking for one too distracting to focus on a treatise. The first challenge was, therefore, to write in the first place. Luckily, in my last assignment I launched a somewhat successful e-journal in retail and fashion. I was the proud editor and was compelled to not only write but to also correct other writer’s pieces. However, when I finally got down to putting a manuscript together, I switched to fiction. Once I started it came out so smoothly and I cursed myself for not starting earlier. Looking at the calendar, I realized I was over sixty. But that didn’t stop me from starting my marathon running and I was sure I could do this for writing as well. I decided to write a collection of short stories. I thought this would be easier than writing a single 50-thousand-plus words manuscript. There were many smaller hurdles to cross but I must say I enjoyed the ride. Often, I would write non-stop for hours. I wasn’t sure if what I wrote was good enough. So I selectively shared some of my works with alumni, my running mates and other friends. I wanted to guard against the ‘it is nice’ comments that friends are wont to say. However, I did discern that my writing had an appreciative reader. There was, of course, a lot of brushing up to do, but I would learn it along the way. Finally, over a year, I did complete a manuscript of 50-thousand-plus words, a collection of eight short stories. I knew that publishing was another cup of tea that I would have to grapple with. I was keen not to self-publish but to go ahead with the old system of publisher-author relationships. This I thought would ensure that my writing stood on its own merits rather than being hoisted by self-serving thoughts. Having read about ‘rejections’, I was ready for a long haul to find a genuine publisher. This started with research and listing of the top and commonly known publishers. I started my submissions of sample chapters and other information. Submitting online made things a lot easier but a number of the publishers were still old world, asking for hard copies which they would gladly sell by the weight. I smirked at the comments such as ‘if you don’t hear from us in three months, we will not be going ahead with your manuscript’ or ‘don’t call us, we’ll call you’. A number of publishers did send polite notes of ‘no’. It did help to hear something rather than nothing at all. While scouring for publishers, one kept hearing about the ‘vanity press’. These are publishers who play up to one’s vanity and vulnerability by agreeing to accept your manuscript as a ‘conventional publisher’ but pushing in costs for editing, cover design, printing and myriad other things. After two publishers accepted my book, some hard research on the net threw up the ugly truth – that they were vanity press in mufti. I didn’t even bother to reply to them despite getting a ‘yes’. When I did get a call from a publisher, not too familiar, but seemingly with clear credentials, I thought I must investigate further. What impressed me about them was that they were well organised, accessible and were able to give clear and meaningful explanations. An online search indicated that they were quite sturdy in distribution to book chains and independents. This was one of the important features I was looking for. While a lot of book retailing is going online, I thought that a store presence is important for a new writer like me. In my research I was also able to pull out the publishers history and past association with authors; some of the books and authors had reached national status. The publisher was also regularly participating in all the major book awards. By signing up for their newsletter, I was able to keep a track of their new book launches and even attended a couple of them. Through references I was able to reach out to an established author for advice. He had already published three books which were medium successes. His publisher was Harper Collins. He was quite helpful in guiding me through the Agreement I was offered by my publisher. I had been offered a straight classic type of publishing but with possible marketing delays or a shared cost basis with higher royalties which would put the whole arrangement on a fast track. The cost suggested was quite reasonable. I had also built confidence about the publisher by this time. So I decided to go ahead with the latter with the blessings of my wife and the writer-reference. Unfortunately, the story does not end with ‘they lived happily ever after’. Being new I didn’t realize what an enormous work needs to be done after the first draft of a manuscript. What I thought would take three months, took six. The editing itself took three whole months. The cover design and layout another month, not to talk of the printing and distribution process itself. While it was reasonably fast to sign up the online sites, the distribution to book stores on a national basis takes three whole months. The author, especially a first time author, cannot completely rely on the publisher to market his book. The latter will do a basic job and at minimal costs. The author has to dig into his own resources, friends-circles and networking to make a din. Worst of all is that feedback is not easily forthcoming. The book retailers, especially the independents, are a law unto themselves. So one has to keep huffing and puffing and keep hoping that it is producing results. It is as much as a year before the numbers can actually speak.